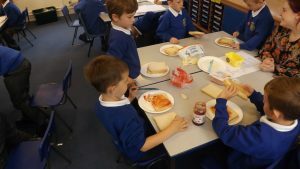 Longmoor Community Primary School | Scrumptious Sandwiches! 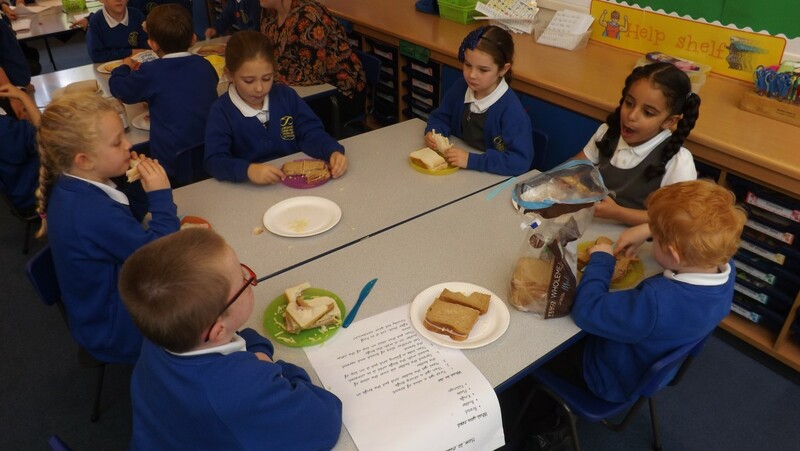 This week in Year 2 we have been reading the story of The Lighthouse Keeper’s Lunch. We really enjoyed the story but felt so sorry for Hamish the cat – if you don’t know why, please ask us and we will tell you! The book was useful to us as it helped us to add to our growing list of useful adjectives. 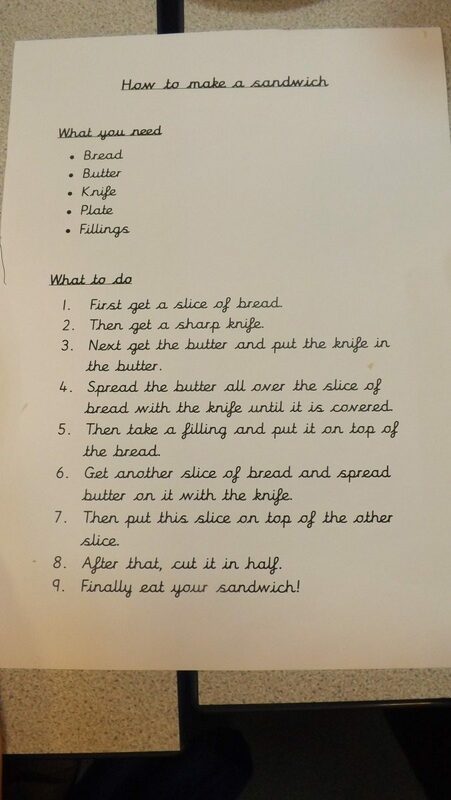 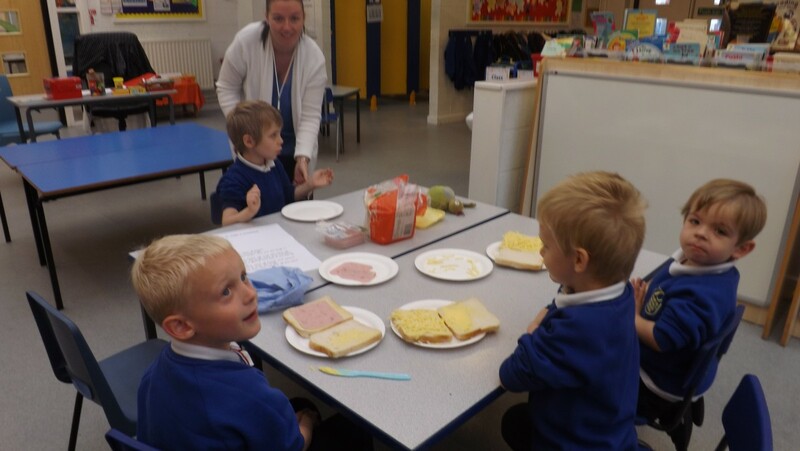 We decided to make our own sandwiches, which were just as delicious as Mr Grinling’s lunch, and we followed and wrote our own instructions for Hamish so that he would be able to make some lunch himself. 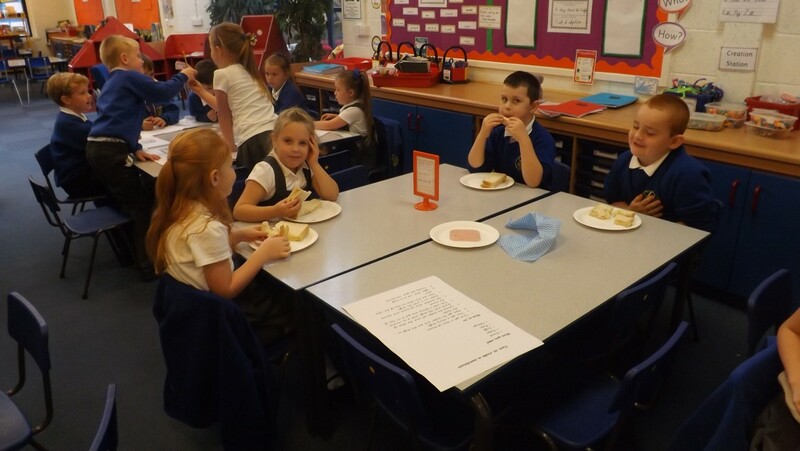 Here are some photos of our instructions and us enjoying our yummy sandwiches! 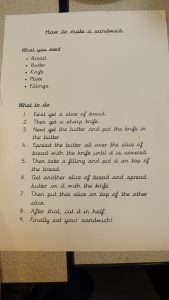 We will try to help Hamish by writing an exciting story for him at the end of the week.